Proudly offering non pro-rated labor and material commercial roofing warranties up to 20 years! Conklin Roofing Systems have been installed on Billions of square feet over the past 40 years - for these brands and more! Why choose Mohawk Valley Coatings over the other guys? Mohawk Valley Coatings and Eli Byler (owner) have a solid reputation for great customer service and an unmatched experience. Mohawk Valley has years of experience serving east-central New York's building owners and helping them with their roofing needs. We're New York locals and treat our customers like neighbors and family! CALL NOW 315-985-0467 to learn more! These guys were very professional, minimally intrusive on our business operations, punctual and completed in the estimated time. It is 6 months later with 6 inches of ice on the roof and no leaks to date. I would recommend Mohawk Valley Coatings and we will be calling on them in the future for any of our roofing needs. What made Mohawk Valley Coatings stand out over other contractors I have worked with in the past was they started the project when they said they would, they showed up every day (weather permitting), they did what they said they would do as agreed in the contract and I will add that there was no cost over-run. They also kept the job site clean and organized and best of all they finished the job ahead of schedule. 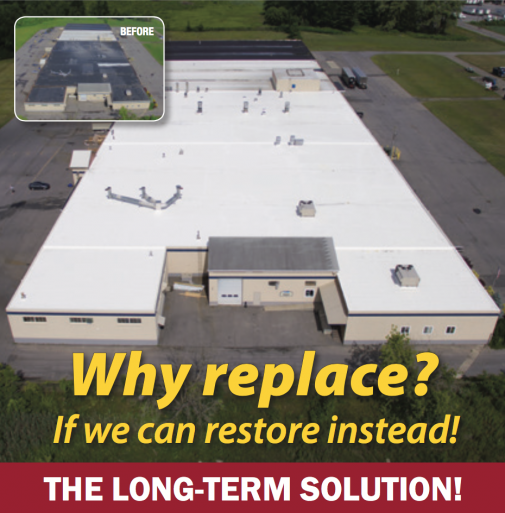 "I started Mohawk Valley Coatings with a simple goal in mind – provide only the best commercial roofing services to the east-central New York region. That means using only the highest-quality materials, providing the best customer service and ensuring the job is done right every time. When you choose Mohawk Valley Coatings as your local commercial roofer, I'll personally work to ensure your satisfaction and will oversee the job myself. 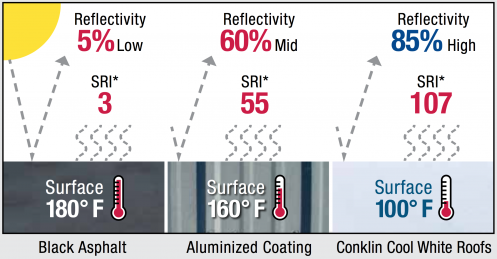 Find out how to reduce roof temperatures by up to 40% - and SAVE MONEY on cooling costs!